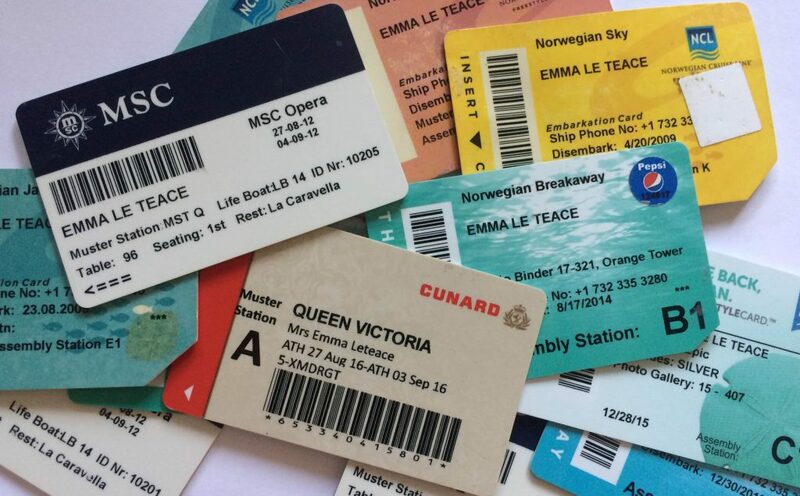 If you know any regular cruisers you’ll often see them flashing around their cruise keycards. 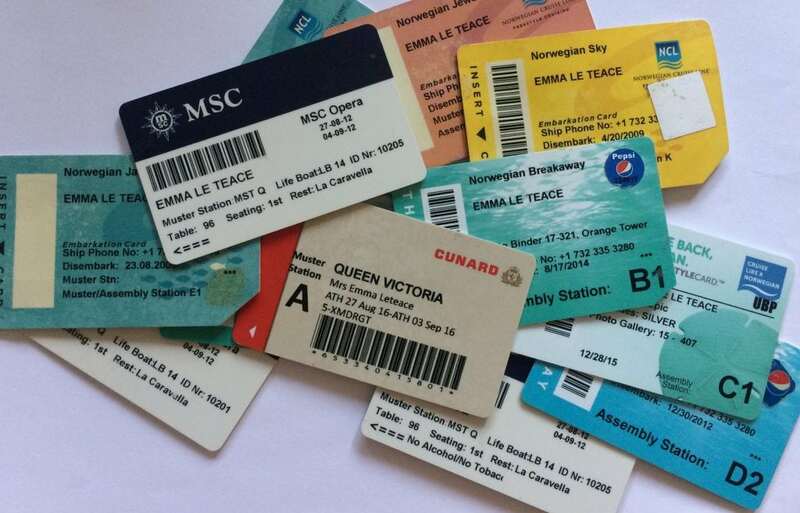 It becomes something of an obsession for many of us, who spend a lot of time collecting and displaying our cruise cards. 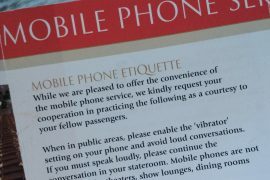 But if you’ve never been on a cruise you may be wondering, what exactly is that little piece of plastic for?! How do I get one? What is a cruise keycard? Your cruise keycard is the most important item that you have when you are on a cruise. 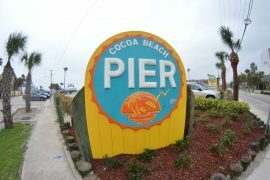 Prior to boarding you will set up an onboard account that you would like purchases to be charged to, this is usually done with a credit card although there are other ways to pay. (More on that another day!) The cruise keycard allows you to charge drinks/food/gifts on the ship to your onboard account, effectively removing the need to carry around your wallet, woohoo! It also is what you use to get into your cabin and has a number of other uses around the ship. 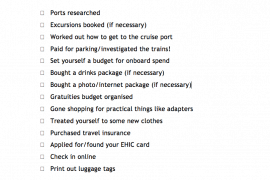 Whats on the card will depend a lot on the cruise line that you are cruising with. I have cruised mostly with NCL will start with them. Below is a card of mine from a cruise onboard the Norwegian Epic. On some other ships and cruise lines there may be more information, see below an MSC cruise card. I personally love to keep my cruise cards. I have built up quite a collection which I am very proud of. 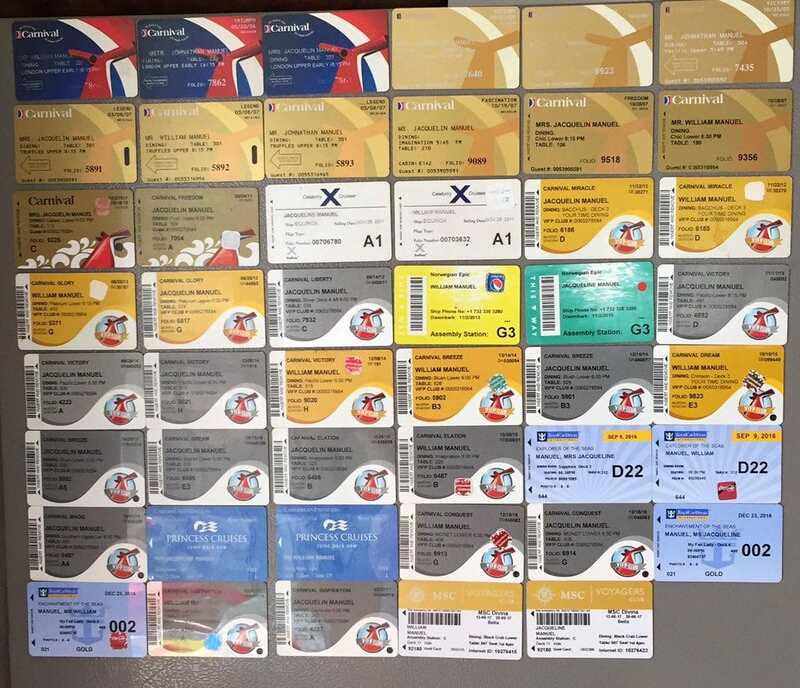 I know many people who make them into scrapbooks or keep them as fridge magnets, all brilliant ideas! 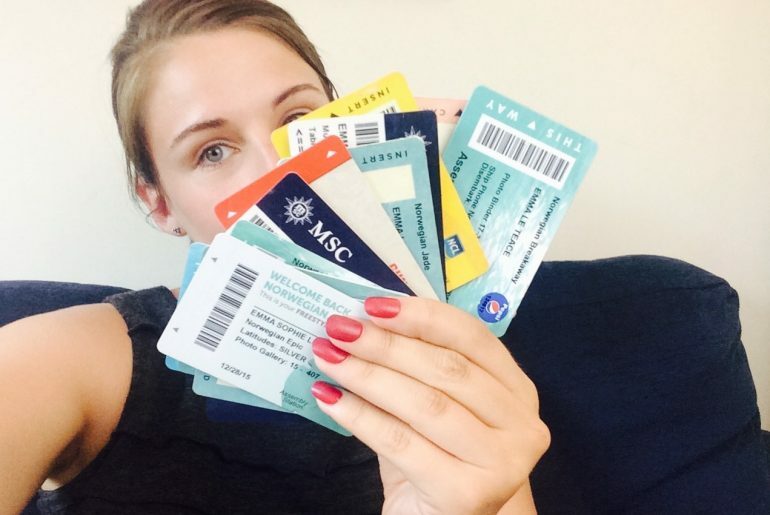 Do you keep your cruise keys cards (or will you when you cruise in future)? Let me know! Why not check out my latest video all about Embarkation to find out how to get your cruise keycard.